Want to encourage your kids to to embrace making healthy meal choices? Start by encouraging them to view healthy cooking as a fun activity. There is an old adage that if <em>children help to make it, they will eat it</em>. 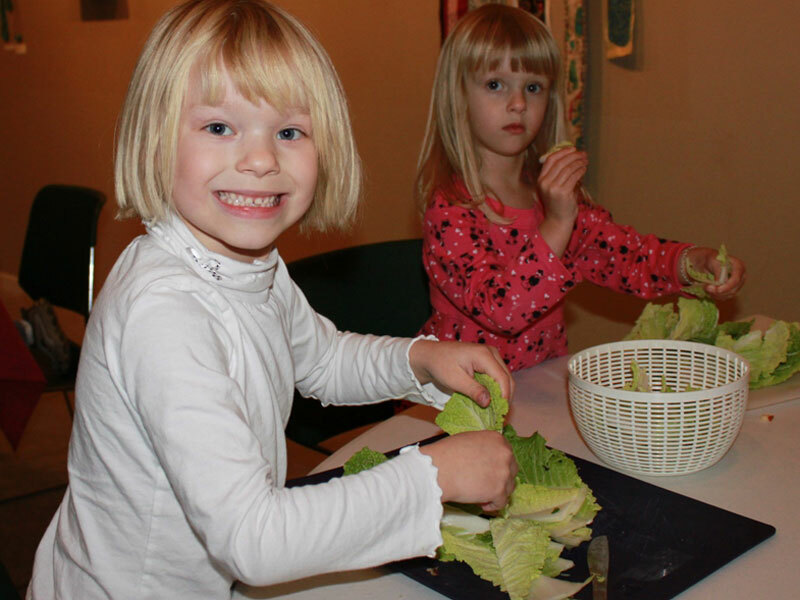 By introducing children to the fun that the family kitchen holds, you're helping them make the farm to plate connection, while getting their hands dirty. Cooking together as a family creates a bond and memories that will last a lifetime. It's also a great way to infuse math, science, history and art into your everyday conversations. Remember, cooking is fun and it doesn't matter how messy you get, the idea is to create a love for healthy eating that will span a lifetime. 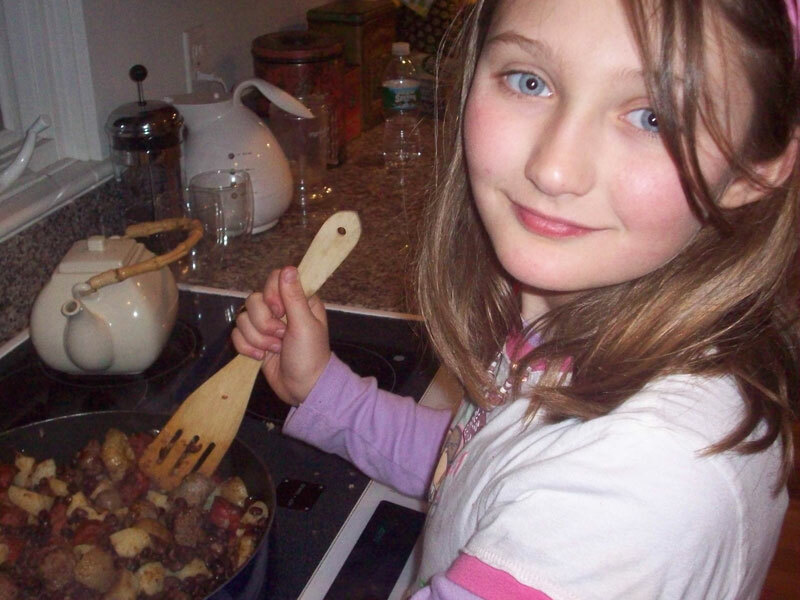 Read on to learn seven ways to get your kids into the kitchen. <h2><strong>1. Start at the Farm</strong></h2> Many children may not be aware of where our foods come from. You can help your children make a connection between the food choices that they make and where that particular food comes from. Taking your child to visit a local farm is a great way for them to understand how and where their food grows. It's also important for your child to understand that when foods are in their "whole" state they are the healthiest. Once children understand that packaged and fast foods are not good for their bodies, they will be more willing to try new foods that are healthy. <h2><strong>2. Let them Grow Their Own Ingredients</strong> Ingredients</h2> Children love to watch things grow and by giving them a place to grow their own food, their appreciation for fruits and veggies will grow, too. 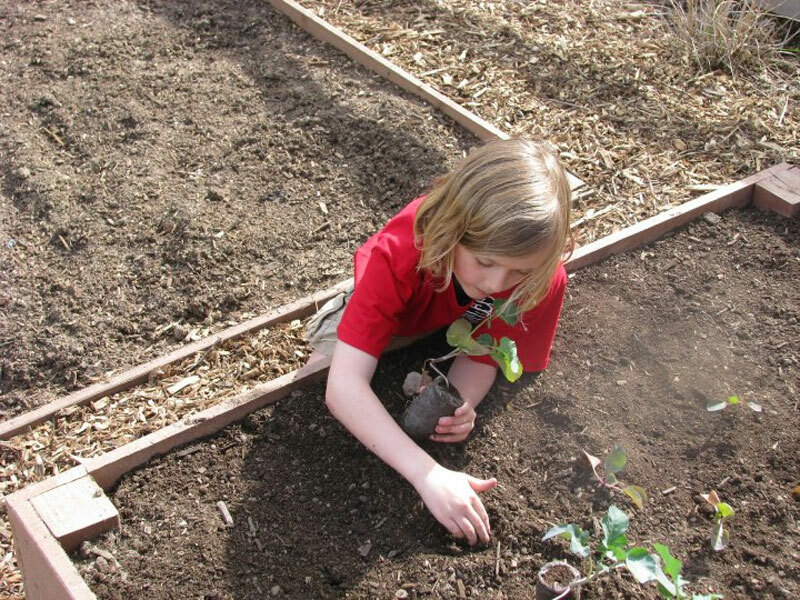 If you have room for a garden, get planting and <a href="http://www.inhabitots.com/7-steps-to-building-a-raised-garden-bed-for-your-family/">build a garden bed for your family</a> with a special plot of dirt for your child. If you live in a smaller space without an adequate outdoor area for a garden, consider planting a potted garden on a patio, front porch or even a window sill. 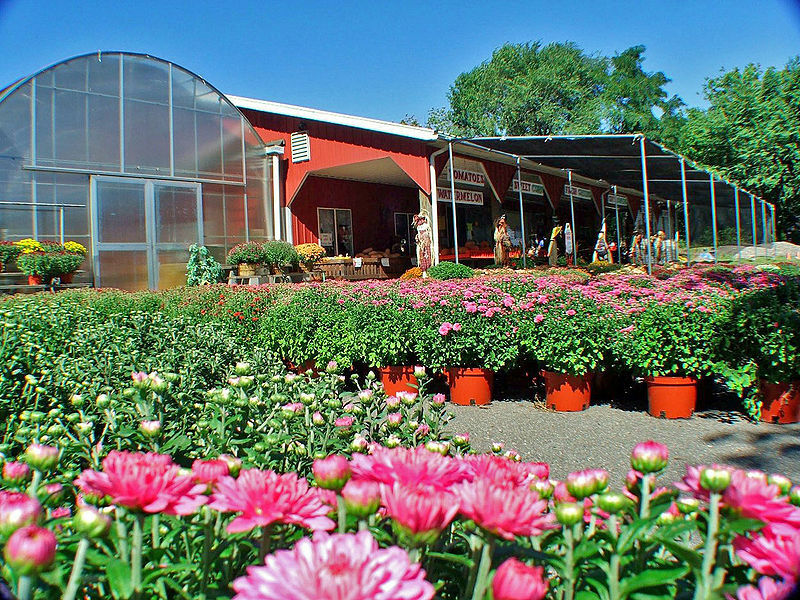 If your home just doesn't have any type of space to grow a garden, consider joining a community garden where you can rent a plot for the season. <h2><strong>3. Make Something They Love</strong></h2> To romance children into the kitchen, start their first project by choosing to make a meal or treat together that they all ready love. If your child adores vegetable lasagna, let them assist you in all aspects of making it, including picking out all of the ingredients. If your child is a dessert connoisseur, let her choose the <a href="http://www.inhabitots.com/vegan-baking-recipes-peteys-almond-cookies/">cookie recipe</a> and help him create a delicious batch to present to the family after dinner. Children will automatically become more involved in the kitchen when the dishes that they help prepare taste divine. <h2><strong>4. 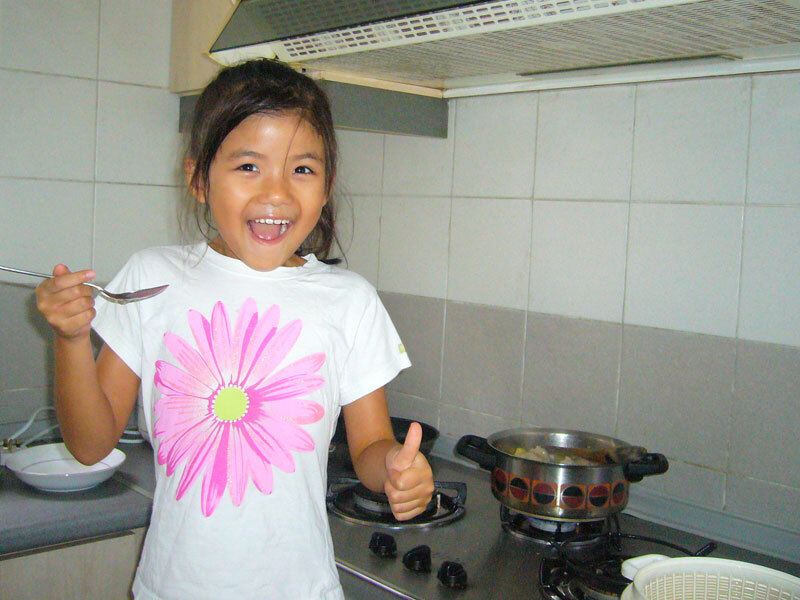 Everyone Can Help</strong></h2> Even children as young as two years old, can help in the kitchen. Toddlers can help by setting the table and serving small items such as rolls. Older children will enjoy more responsibility and can help in almost all aspects of the menu preparation. If you have little ones that are simply too small to help, you can designate a lower cupboard to hold kitchen items that they can play with including small pots and pans, a rolling pin and measuring cups. <h2><strong>5. Make a Game of It</strong></h2> If you're struggling to help your child see the light of cooking fun, try turning it into a game. 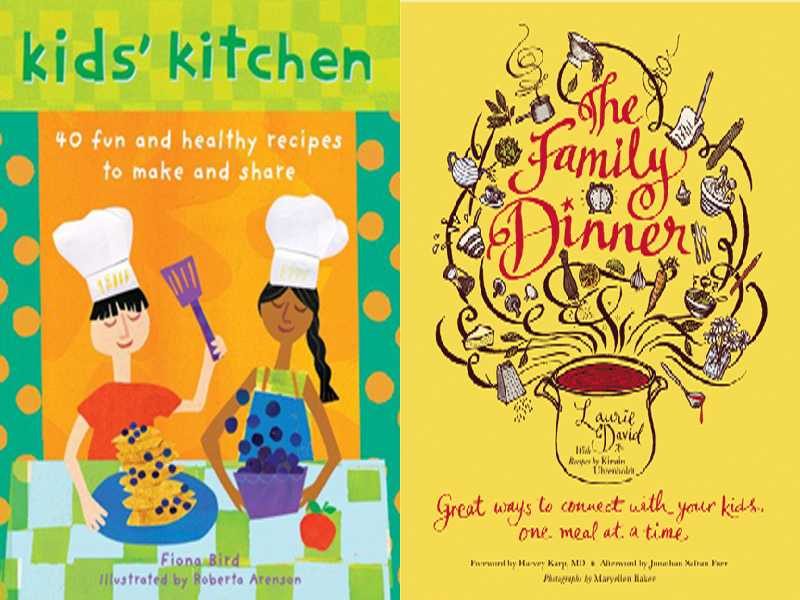 There are many great kitchen books and games available that will win over your child. My favorite game for the younger set is <em><a href="http://store.barefootbooks.com/kids-kitchen.html">Kids' Kitchen</a></em>. It offers 40 fun and healthy recipes that children can make and share with their friends and family, all presented in a beautiful, colorful card deck. And my favorite option for older children is <em><a href="http://thefamilydinnerbook.com/">The Family Dinner</a></em>, which has an entire section devoted to fun ways that families can build vocabularies and expand their minds, all while playing fun dinner games together. <h2><strong>6. Take it Outdoors</strong></h2> If your child isn't keen on hanging out in the kitchen, a change of scenery may be all that you need. 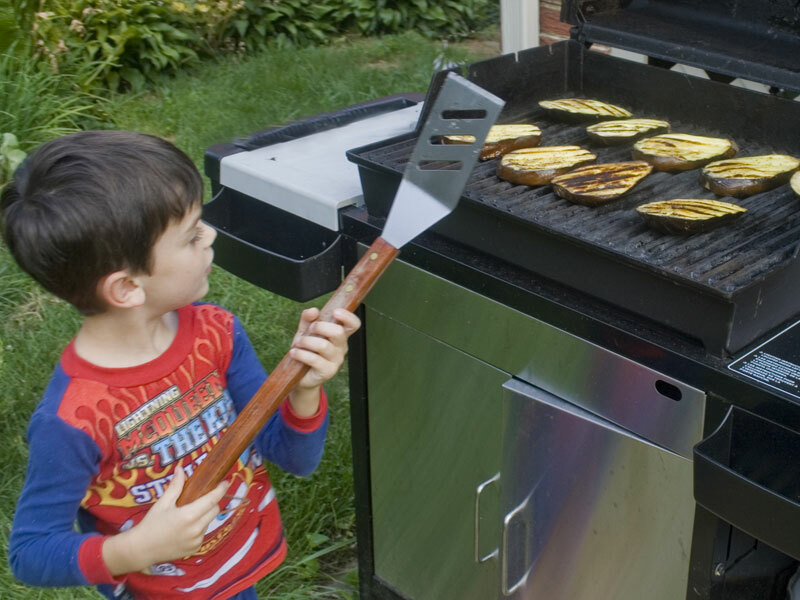 Not all cooking happens in the kitchen, you can get your child excited by cooking outdoors on your family's outdoor grill. For some reason activities are more fun when they are done outdoors. The next time your family has make their own pizza night, consider assembling the pizzas on the outdoor patio table and grilling them on the outdoor grill. <h2><strong>7. Make it Fun</strong></h2> Getting your child into the kitchen should be fun and never a chore. Even if the only time that you can get your child to willingly enter the kitchen is to lick the bowl, use that time to your advantage. 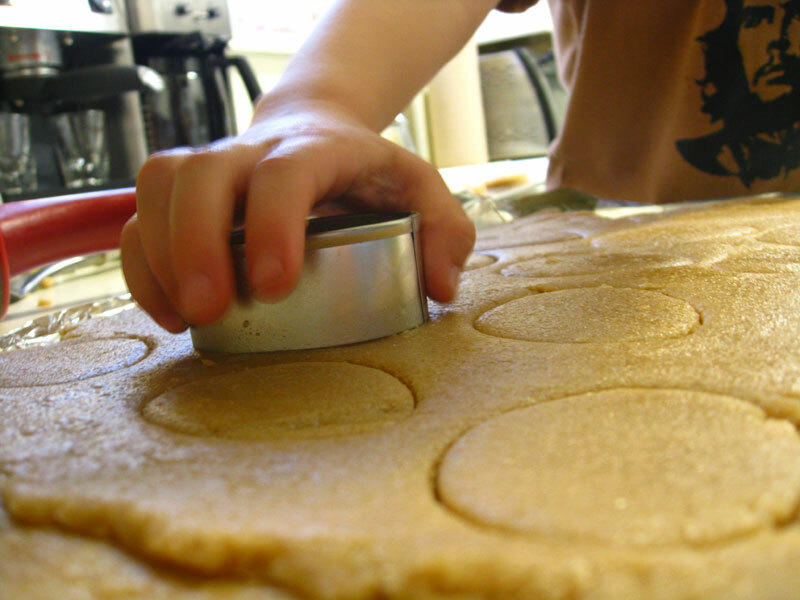 As your child is reaching for the bowl, ask them if they would like to pour the batter into the muffin tins. Then, continue by sharing a story about your grandmother's muffin recipe. Before you know it, you will be chatting about muffins and grandma and a love for cooking will begin to grow.